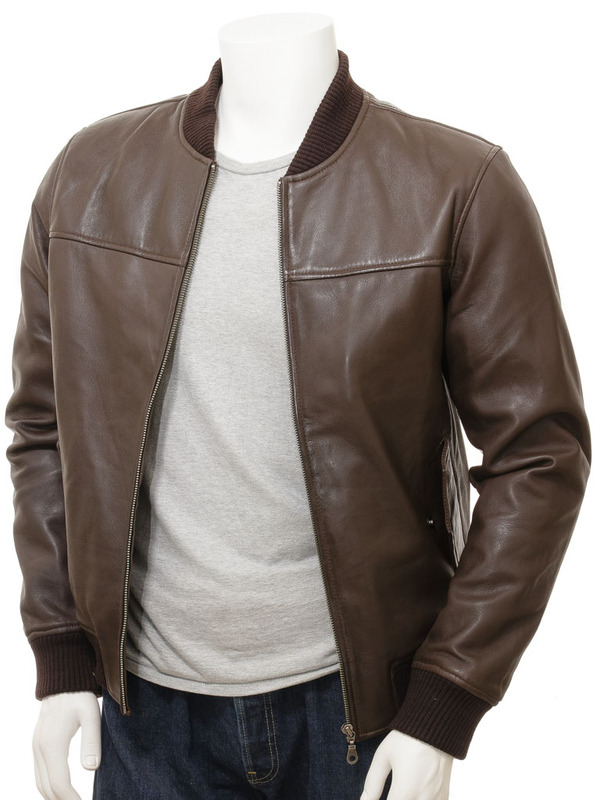 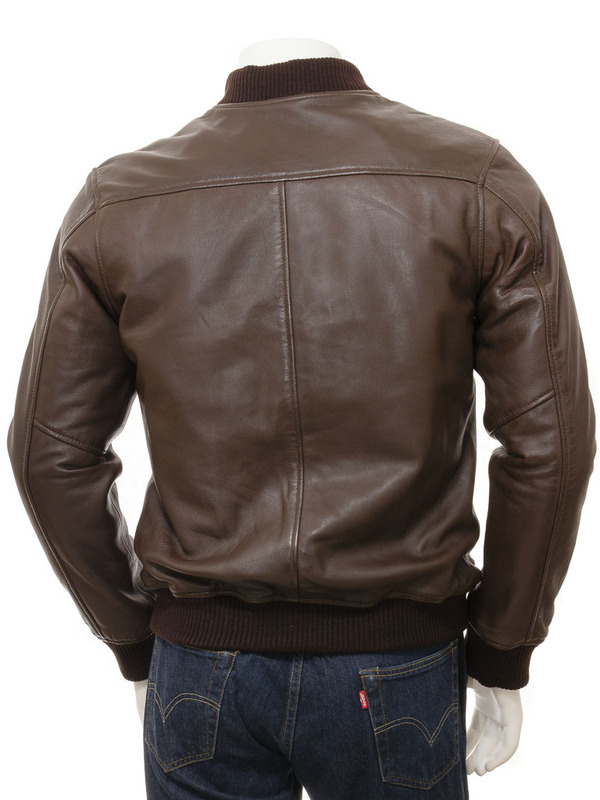 A clean and simple brown, leather bomber jacket. Sheep nappa leather is the perfect hide for this jacket with a soft and supple handle and a deep colour density. 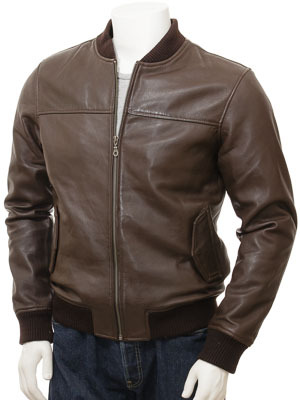 The styling follows the MA1 template of a blouson body, rib knit collar, cuffs and hem plus flapped waist pockets. 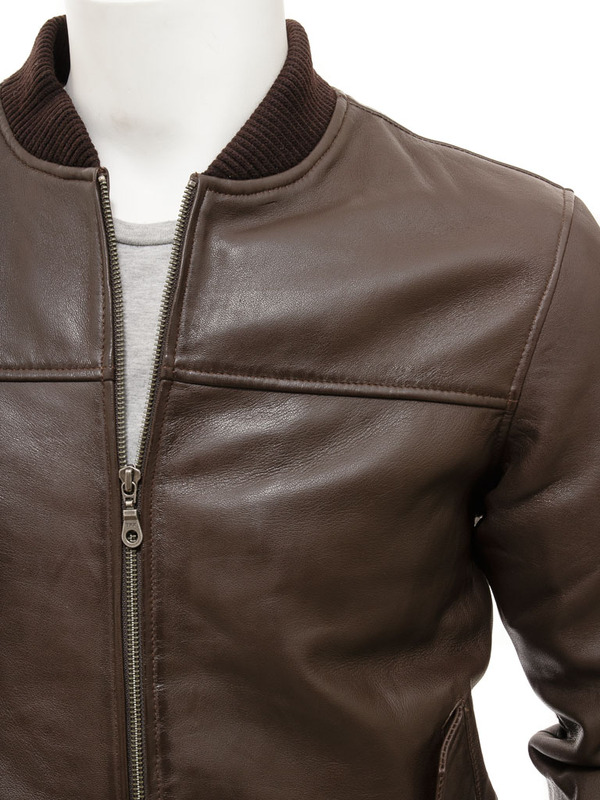 Everything you need in a jacket and nothing more. 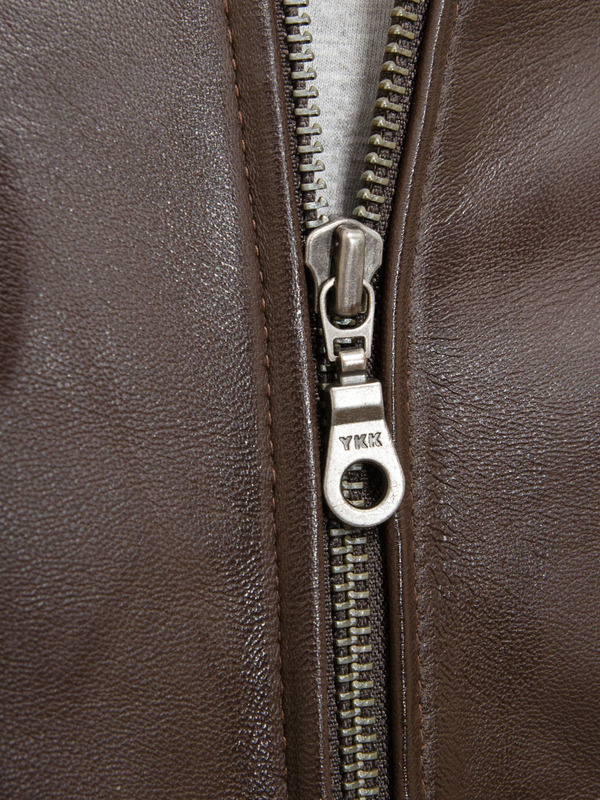 The interior is fully lined in a plain poplin and carries two, leather trimmed pockets, one zipped and one open.